Data Acquisition Techniques Using Personal Computers contains all the information required by a technical professional (engineer, scientist, technician) to implement a PC-based acquisition system. Including both basic tutorial information as well as some advanced topics, this work is suitable as a reference book for engineers or as a supplemental text for engineering students. It gives the reader enough understanding of the topics to implement a data acquisition system based on commercial products. A reader can alternatively learn how to custom build hardware or write his or her own software. 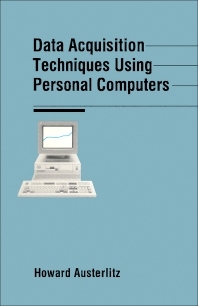 Featuring diverse information, this book will be useful to both the technical professional and the hobbyist.